Ice cream is impossible to resist, whatever your age or occasion. Whether you want a delicious Raspberry Sherbet or Watermelon Granita to cool you on a hot day; a tempting Passion Fruit Mousse or Hot Apple Ice Cream with Cinnamon Bread to finish off a dinner party; or an Apricot Parfait or Nougat Ice Cream just for the sheer indulgence, this book has 150 recipes that will never leave you wanting. 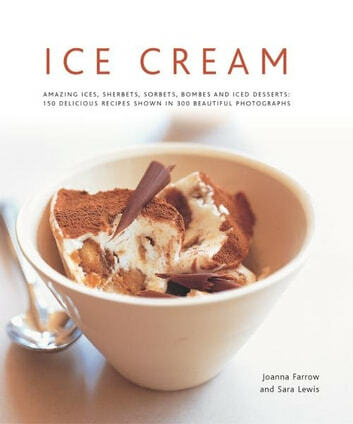 Fresh, bright and contemporary, with 250 stunning photographs, this book takes you through the entire range of ices and ice creams, with chapters on classic sorbets, water ices and granitas; classic ice creams; bombes and terrines; tortes and gateaux; hot puddings; iced desserts; ice creams with fruit; herb, spice and flower ices; low-fat ices; and iced drinks. A guide to techniques and ingredients provides a wealth of information on how to make ice creams by hand or machine, how to layer and ripple, use moulds of different shapes and sizes, and how to make your own baskets, cones, biscuits and ice bowls, as well as a guide to the dazzling number of ingredients you can use.